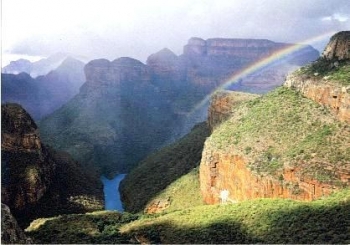 The Sudwala Pass is located in Mpumalanga province on the tarred R539 between Sudwala Caves and Lydenburg. It starts at its northern side at 1072m ASL and rises to 1223m, descending again to 996m. The total length of the pass is 8,93 kms producing an easy gradient of 1/39 with the steepest sections presenting at 1:14. 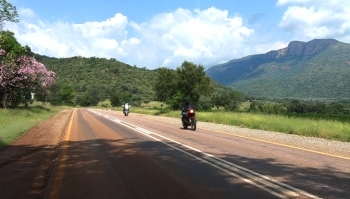 The road is suitable for all vehicles and offers easy sweeping curves with perfect Lowveld scenery. It also gives access to the Sudwala Caves and Resort a further 7,3 kms south of the pass. 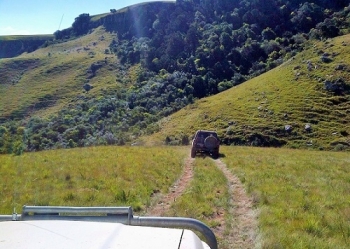 This gravel pass traverses the Drakensberg and is strictly a 4x4 track, which connects surrounding farms to the east of Harrismith in the Free State with farms in the KZN Highlands near Dundee and Newcastle. The route traverses private land and requires the consent of the land owners. Together with Rogers Pass and Keays Pass the three passes ascend and descend the Drakensberg over some tough tracks making for a challenging 4x4 circuit. Not much information is known about Brandons pass and very few people have driven it. 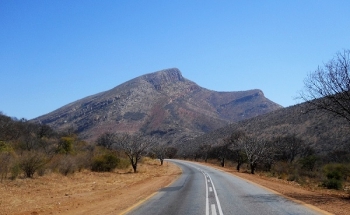 Chunie's Poort is located on the tarred R37 road, about 40 km south of Polokwane (formerly known as Pietersburg). There are various spellings of the name, including Chuene and Tshwene, which translates as “Baboon”, but most sources and the signboards use the spelling as shown above. The pass follows the course of the Tudumo River, which flows southwards out of the Chuniespoort Dam. At the northern end, the river has cut its way through a narrow gorge, and an unusual feature of this pass is that the bridge over which the road is built does not cross the river, but parallels its path through this gorge, directly above the water. This is a secondary gravel road in the vicinity of some of the famous attractions of the Lowveld, like the Blyde River Canyon (Molatse Canyon), Pilgrim's Rest, Bourkes Luck Potholes - a charming world of a bygone era, loaded with pioneering history and tales of mining hardship. The pass has a long trekker history and was first built by Paul Kruger's father Casper Kruger, hence the name. The routing of this pass was actually very clever considering the time and evolution of our roads in South Africa and is generally a pleasant route with reasonable gradients, but there are a few sections which do keep very steep, especially on the western side. Of further significance on this pass is that although the pass is a lengthy 12,2 km it only has 22 bends, corners and curves and all of the sharpest bends, including the single hairpin, occur during the first 2,2 km on the western side. The road follows a similar line to Robbers Pass, but about 20 km further to the north. Connecting Port Nolloth with Steinkopf on the N7 near Springbok, this low-altitude tarred poort on the R382 passes through the endless, arid plains and rocky outcrops of the Windpoort farm after which it was named. 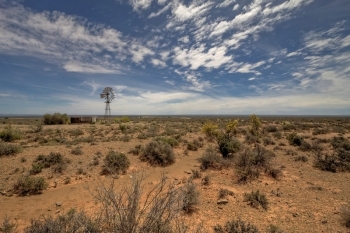 It is one of three passes and poorts along the R382 with the other two being the Anenous Pass to the east and Gemsbokpoort to the west. As far as dramatic corners and steep gradients go, this pass has little to offer other than the desolate, dry plains of the Northern Cape's semi-desert known simply as Namaqualand - in itself offering it's own kind of beauty, that not everyone appreciates. This long, tarred pass connects the two old mining towns of Lydenberg - better known today as the premiere fly-fishing centre of South Africa, and Burgersfort on the R37. Lydenburg is another town which has had a recent name change and is today officially called Mashishing. No doubt because of the difficulty of pronouncing the new name, the vast majority of South Africans still call it Lydenburg. Packed into its 19,6 km length are 51 bends, corners and curves - some of which are extremely sharp and include two hairpins and another two dangerous 90 degree bends. This is a high altitude pass with a summit height of 1621m ASL and offers excellent views, but is sorely lacking in places to stop safely. Despite the statistics, the gradients on this pass never exceed 1:16. There are a number of cautionaries for this pass, which include heavy mountain mists, lots of slow moving heavy vehicles, and some very sharp bends. Despite the dangers, the road is generally in a good condition and can be driven in any vehicle, but watch out for the occassional pothole. 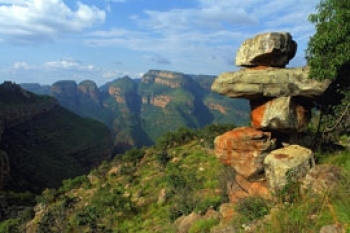 Named after the little town of Van Reenen, which seems to stand guard at the top of this majestic pass which winds its way through the Drakensberg mountains between Ladysmith and Harrismith along the N3 between Durban and Johannesburg. Unfortunately, the only record that the pass can lay claim to is that of the most dangerous pass in South Africa. 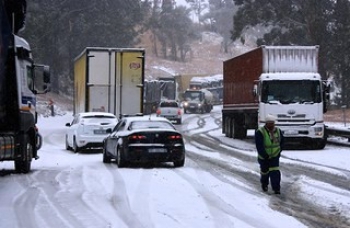 Despite this, the long pass provides beautiful scenery as it descends towards Ladysmith in the KZN Midlands from the Free State. This steep, high altitude gravel pass is situated between the N9 route and the village of Nieu-Bethesda, where artist Helen Martins turned her Karoo home into a fantastical landscape, with concrete and ground-glass sculptures of owls, camels and angels. 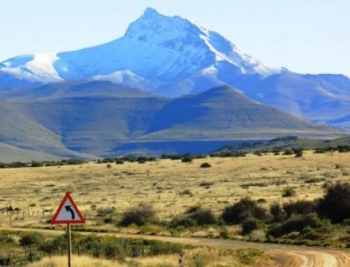 The town was established in 1875 and is dominated by the peak known as Kompasberg (Compass Mountain) which is the 6th highest mountain in the Eastern Cape and forms part of the Sneeuberg range. The town is very secluded and as such has become something of a retreat for artists and writers. 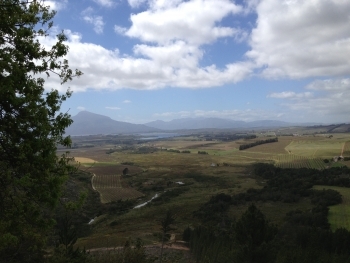 Viljoen's Pass was named after Dr Antonie Viljoen who founded the area's famous apple industry in 1902. 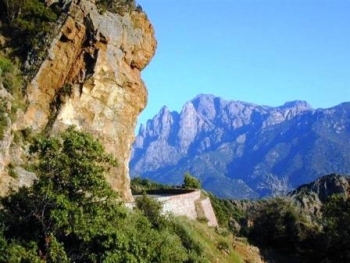 It is a well designed modern pass with a good accident track record, not withstanding the extreme hairpin bend on the northern side of the pass. The pass was originally built to a different line in 1860.